Long live clafoutis! So I woke up this morning … every day surprises us with something new :-). But what is actually a clafoutis (or clafouti)? Neither more nor less than a French dessert, originally from the Limousin region. Etymologically speaking, “clafoutis” comes from the Occitan “clafotís” which at the same time comes from the verb “clafír”, which means filling. The original cherry clafoutis consists of a semi-soft dough (an incredible texture that is a little bit more consistent than the one of egg custard… and so so soft) that is filling the gaps between the cherries. 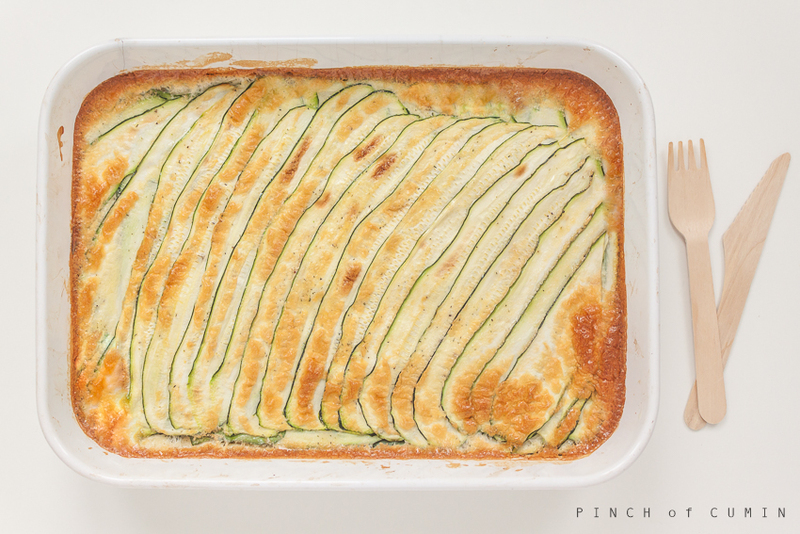 Turning back to today’s business, we step beyond the traditional sweet clafoutis with this fabulous result: an exquisite soft and vegetarian bite. 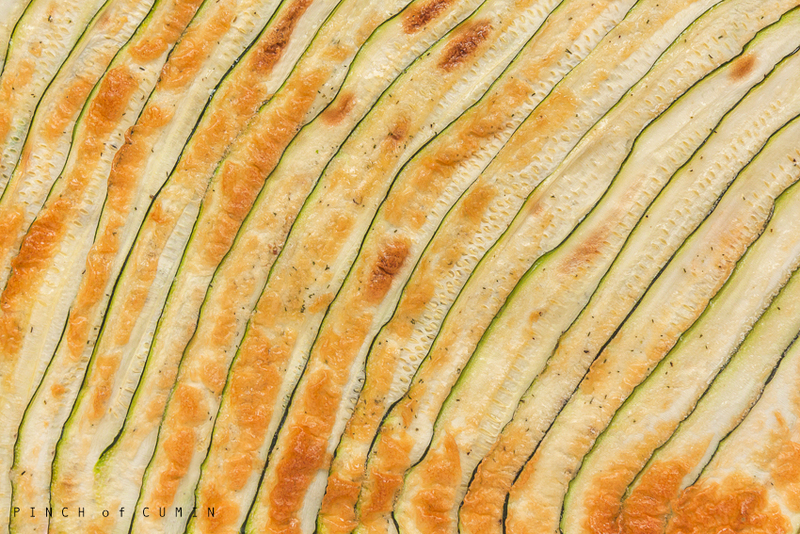 Cut the courgettes in the long run using a mandolin. Put a pan of water to heat and when boiling, cook for 15 minutes. Drain and let cool. Put the eggs, milk, cream, flour and nutmeg in a blender bowl and whisk until lumps are dissolved. Season with salt to taste. Grease a mold whose length is somewhat higher than the asparagus and place them in a row. Spread half of the cheese and pour the egg mixture over. Then spread the remaining cheese, and finally, dill, rosemary and pepper. Preheat oven to 180 ° C and bake for 40-45 minutes until golden. 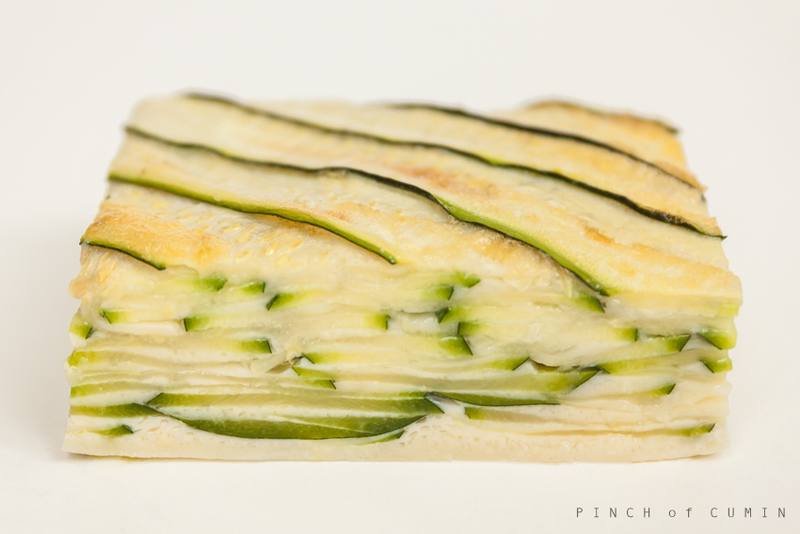 The orientation of zucchini’s sheets in the mold is on consumer’s taste. Normally I put them in the long run, but in this case I wanted to try diagonally. Not bad, right? 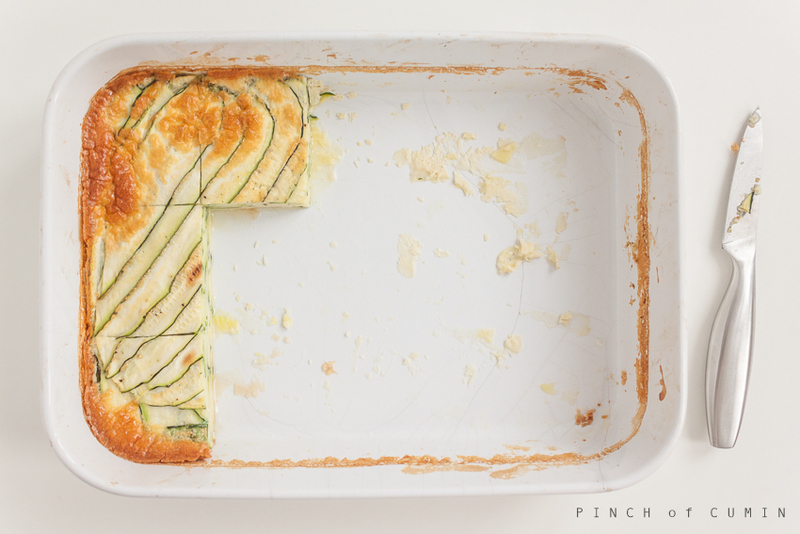 You can try this recipe with other vegetables, or also combining them. Some that I have already tried and are wonderful are: tomatos, asparagus and eggplant.